Looking for a job in Ozark-Dale County Alabama? The following is a directory of Ozark-Dale County Alabama top employers with direct links to the jobs they offer. This directory includes local city job links as well as the larger job posting boards. 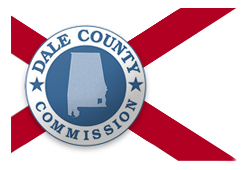 Dale County's primary municipalities are Daleville, Dothan, Enterprise, Level Plains, and Ozark. Dale County periodically hires. Check their site periodically for updates. During this review there was an open position for Probate Clerk. The City of Daleville had open positions during this review for Municipal Court Magistrate and Full Time Dispatcher. Check their site for current listings. The City of Enterprise tends to have frequent employment opportunities. Enterprise lies partially in Coffee County. A review revealed the following jobs: Certified Police Officer, Human Resources Assistant, Building and Grounds Maintenance Worker, Concessions Supervisor, Concessions Worker, Firefighter, Night Supervisor/Recreation Assistant, Scorekeeper Seasonal, and Wastewater Treatment Operator. Also check the Police Department and Enterprise Public Library Employment links provided below. The City of Ozark Alabama was hiring. Open positions available included Basic EMT, Advanced EMT, Lifeguard, Equipment Operator, Certified Police Officer, and Police Reserve. Dale Medical Center is an 89-bed acute care facility that provides the Ozark community with compassionate, quality health care and medical services. Here you will find open positions available such as Business Office/Registration Specialist, Environmental Services Tech, Hospice Home Health Aide Part-time CNA, Mental Health Tech, Patient Care Assistant ER, Phlebotomist, Registration Specialist, Certified Medical Assistant CMA, Certified Scrub Technician LPN / New Day Behavioral Unit, LPN Med Surg, Nurse Practitioner CRNP, Registered Nurse RN Charge Nurse, Registered Nurse RN PACU, Registered Nurse RN Surgery, RN Emergency, RN ICU, RN Med-Surg, and Behavioral Health Nursing Jobs. Ozark Health and Rehabilitation is looking for nurses with a passion for helping others to join their growing team. SARHA periodically hires for the positions of Behavioral Health Specialist, License Practical Nurse LPN, and Pediatrician. Check for listings. Providence Assisted Living (Extendicare) hires people who want to make a difference in the lives of seniors. Here you may find openings for the positions of nurse, administrator, housekeeper, or healthcare specialist. Extendicare provides competitive salaries and benefits. Southern Alabama Regional Council on Aging SARCOA is an Area Agency on Aging serving the seniors of Barbour, Coffee, Covington, Dale, Geneva, Henry and Houston counties of southeast Alabama. Periodically positions are posted on their website. Dale County Schools has ongoing employment opportunities. A survey of open positions found had included Early Childhood Teacher, Elementary Teacher, English Language Arts Teacher, High School Principal, Lunchroom Manager, Lunchroom Worker, School Nurse RN, Secondary Social Science Teacher, Elementary School Administrative Assistant, High School Assistant Principal, Middle School Assistant Principal, Central Office Supervisor, and Elementary Principal. Daleville City School District periodically posts employment opportunities. Positions found included Elementary Education Teacher, Secondary Math Teacher, Secondary Science Teacher, Speech-Language Pathology Teacher. Check for current listings. Note: Some of the largest employers are the Ozark City Schools and Dale Medical Center. These employers are listed under the education and healthcare categories above.